PM-led selection panel removes Alok Verma as CBI Chief on Thursday for charges of corruption and failure of duty. In October 2018, Alok Verma was alleged by his number two, Rakesh Asthana. Asthana said that Verma took 2 cr from Sathish Babu Sana, a Hyderabad- based businessman, to sabotage the probe against meat exporter Moin Qureshi. Both Verma and Asthana were sent to a three month holiday after that by the government. When Alok Verma came back from forced leave, in 48 hours, he was again removed from the position. Even Rakesh Asthana’s plea in The High Court was rejected and he too will have to face investigation against bribe allegations. Alok Verma said that it is “sad” that he was transferred on the basis of “false, unsubstantiated and frivolous allegations made by only one person, who was inimical to him”. The panel comprised of not just PM Modi, but also Supreme Court judge Justice AK Sikri and was opposed by Congress leader Mallikarjun Kharge. The first meeting of the panel was held on Wednesday, but no conclusions were made then and the order of Central Vigilance Commission (CVC), which comprised of eight charges against Verma, was recirculated on Thursday. 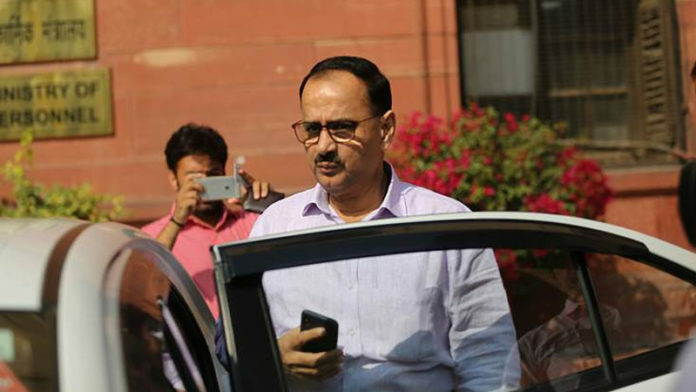 Alok Verma was transferred from CBI Chief to Director General Fire Service, Civil Defence & Home Guards for two weeks before he retires on January 31. He declined to the offer and resigned from his job saying, “Natural justice was scuttled and the entire process was turned upside down in ensuring that the undersigned is removed from the post of the Director CBI”. His position will be taken over by Nageswara Rao, who worked as interim chief, till the government finds a replacement. Was Sushma Swaraj’s Action Against Amazon Justified ?